Lost Your Dog or Pet? LostMyDoggie.com will call 1000s of your neighbors instantly. Our Lost & Found section can help you reconnect a lost animal to its family. Report your lost pet, or report finding a lost pet. 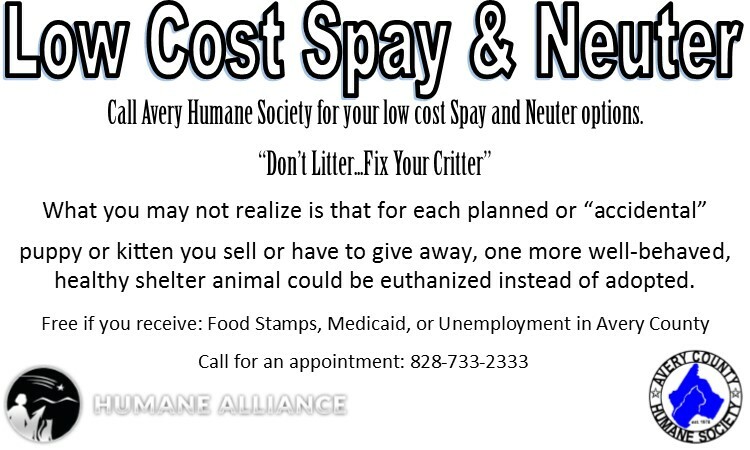 Call us for discounted spay and neuter clinics. We go every Thursday. All you have to do is call for an appointment. 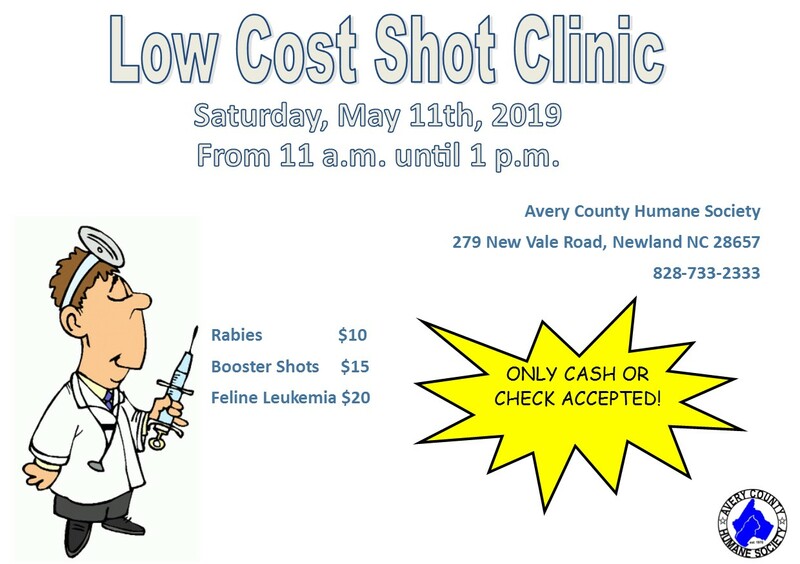 Rabies shots are required and are available for $12 if your pet has not already been vaccinated. Other shots and nail trims and microchipping available upon request. On your appointment date bring your pet to our shelter between 8:30 am and 9 am along with your valid photo id. 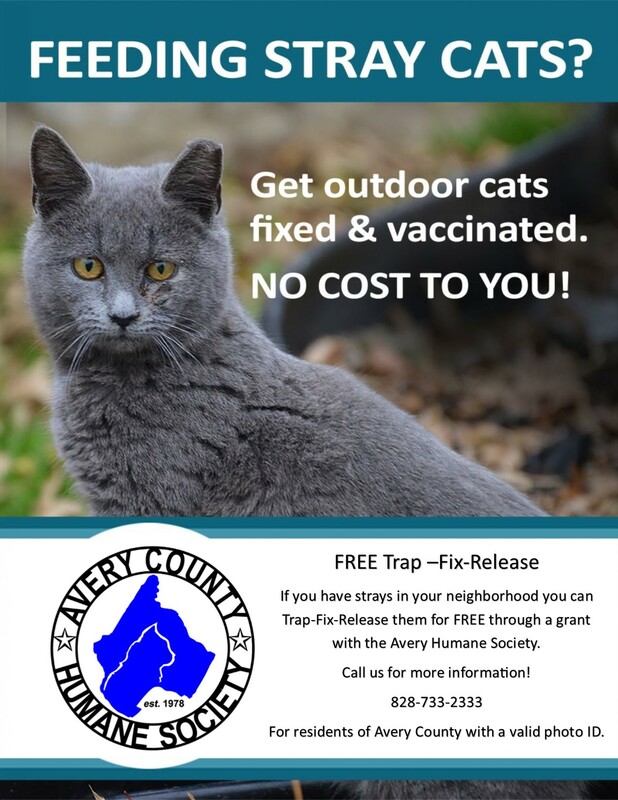 Your pet will be available for you to pick up on Friday between 9:30 am and 10:00 am. Please make arrangements to pick your pet up no later than 10 a.m. due to the limited space at our shelter. Call (828) 733-6312 for an appointment. The Facts about homeless animals and why so many are euthanized in animal shelters in the U..S.
In 2005, 4.4 million pets were euthanized in animal shelters across the United States. 50,000 puppies and kittens are born every day in our country.